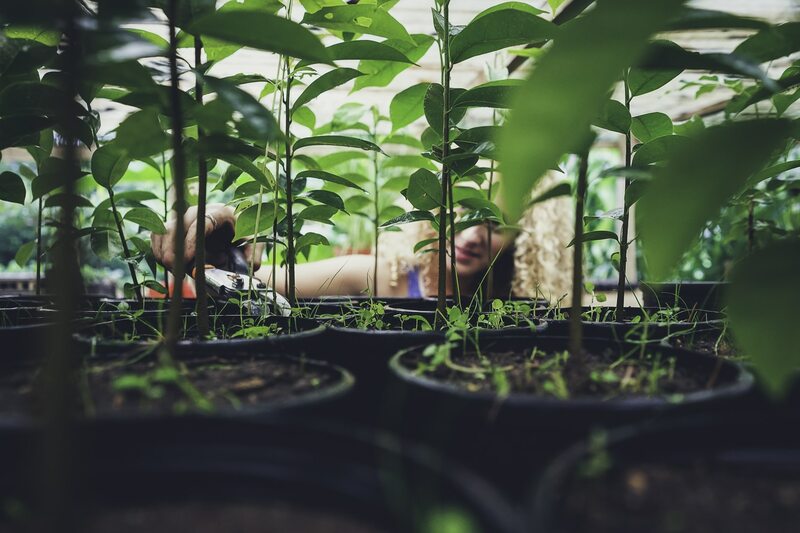 Share the post "A Walk in the Food Forest"
Jake Cardoza spends most mornings standing in the the leaf litter of 60 different tropical fruit trees, warming his hands around a coffee mug shaped like a flower pot. Peering through curtains of overhanging banana leaves, balo trunks, and passionfruit vines, he surveys the vegetation surrounding him. Today, much to his delight, he notices a pinkish orange tint to the leaves of a young starfruit — it’s beginning to flower, and also beginning to fruit. To his right, a guanabana tree is beginning to drop faded yellow leaves onto the ground on one side. A shade wall has blocked much of its access to the sun, and it’s beginning to whittle. Cardoza makes a mental note to trim the nearby balo obstructing its view. 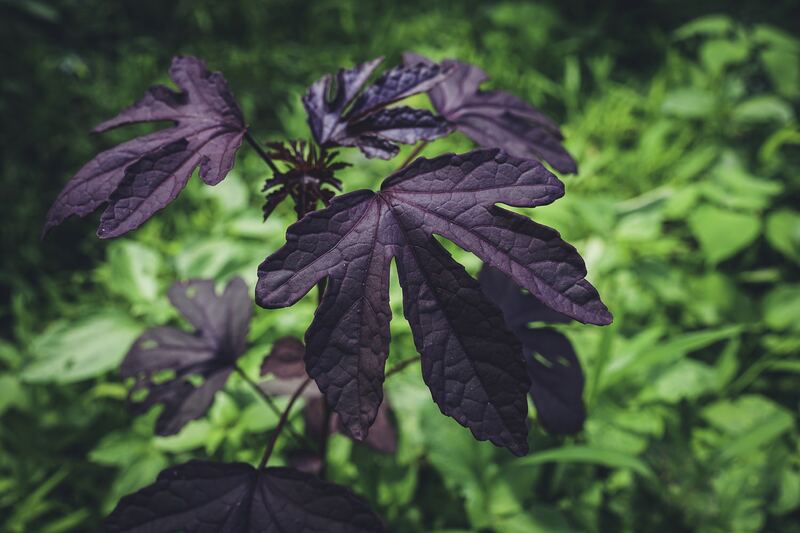 Brigitte Desvaux crosses his path, a pair of clippers hanging from her shorts and an overflowing bouquet of jungle greens — katuk, cranberry hibiscus, gotu kola, and okano spinach — pressed against her body with both arms. She’s on her way to the kitchen, where she’ll soon begin preparing lunch for the dozens of Kalu Yala residents, who live and work and study together on the same land as Cardoza’s food forest. As it has throughout most of modern history, food is currently being shipped around the world in ways that benefit its distributors most. In many cases, food is brought directly to where it commands the highest price point for the highest level of demand, even if that means shipping mangoes from Costa Rica to Illinois in the dead of winter. To preserve them during their long journeys, products are often showered in pesticides. Furthermore, the vehicles that make these journeys possible emit dangerous levels of carbon into the atmosphere. 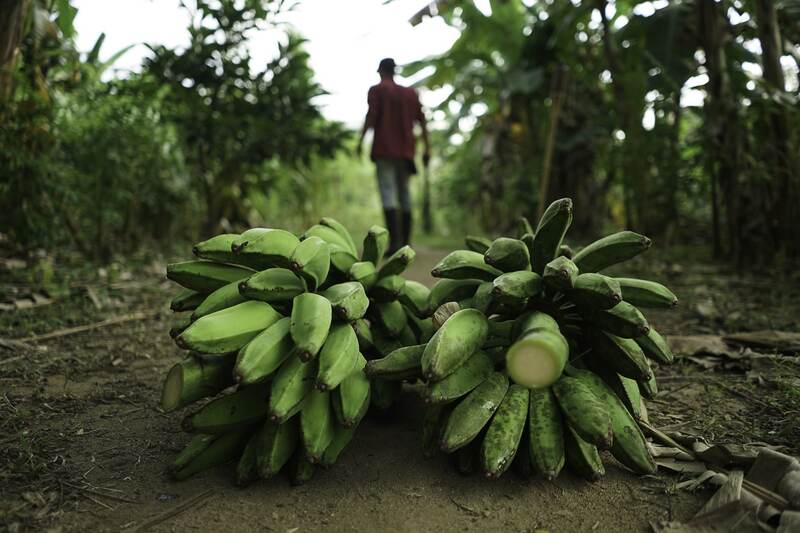 A visit to the dusty riverside community of San Martin, Panama, provides a lens into just how cogged our food system can be. A study conducted last year by Kalu Yala found that produce was being grown locally, shipped two hours down the highway to Panama City, and then shoved into trucks headed back toward San Martin to be resold. By then, many of the fruits and vegetables had either spoiled, bruised or gone to waste — even though they were originally grown mere miles from their eventual consumers. In addition to mangled distribution pathways, another problematic outgrowth of our global food industry is the rise in monoculture farming, or the act of planting single crops over acres of land year after year to maximize yield. Repeatedly planting and harvesting the same crop in one sector of land depletes its soil of the essential nutrients and nitrogen it needs to thrive. Moreover, monoculture’s lack of diversity makes crops susceptible to pest invasion, prompting the need for even more pesticides and chemical equalizers that disrupt the natural ecosystem. Just like any system of constantly extracting outputs without supplying inputs to restore them, the system humans use to farm their food on a large scale today is destined to crash. Agriculture and food industry experts have recognized this inevitable reality and are now exploring more sustainable techniques. That’s where Cardoza’s morning ritual comes into play. 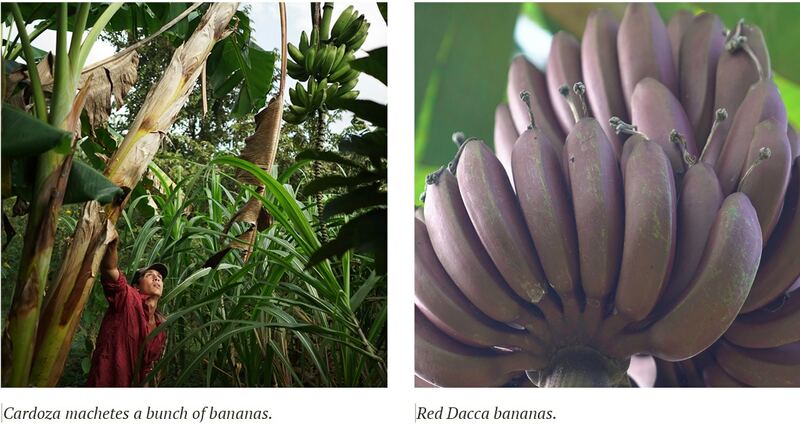 The tropical food forest he tends to each day, which can feed up to 200 people at any given time, represents a microcosm of a potential solution to reversing the decades of havoc that industrial farming has wreaked on the planet. Resilient and complex, the rainforest serves as a model of how an ecosystem thrives. Rainforests have survived slash and burns, chemical spills and colonization, proving that when left to itself, nature always wins. When a forest is completely scalped, it takes about 20 years for that plot of land to naturally restore itself. But the restoration process can be sped up by humans and tailored to meet our needs. Food foresting, or designing a farm in such a way that it mimics the earth’s natural forces, allows humans to grow their own food in abundance while still maintaining a fully sustainable ecosystem. In other words, food forests replenish the earth while we replenish ourselves in order to replenish the forest. Equal outputs and inputs. First coined in the 1970s by Robert Hall, a British farmer who was inspired by indigenous techniques, the term “food forest” refers to selecting specific trees, shrubs, vines, and perennial plants that emulate a natural forest while still providing tangible benefits to the human diet. In 1990, Bill Mollison visited Hall at his farm to expand upon the definition of permaculture, a guiding philosophy that focuses on how systems can mimic nature through careful observation and response to change. Food forestry and permaculture have since been considered to go hand-in-hand. Today, credible food forest farms have made their way to the United States, Central and South America, Australia, New Zealand, Spain, Africa, and across Europe. To plant a food forest, farmers must first start with pioneer grasses and fast-growing medicinal shrubs. These grasses and shrubs band-aid the land, protecting it from harsh sunlight and hard rains. Fast growing trees can then be brought in as an additional energy source, helping spread nutrients through the soil. Leafy vines are later introduced, creating a net and provide a natural greenhouse for hardwood trees. Once a food forest is up and running, the dense biodiversity creates its own fertilizers and pest control. Techniques like “chop and drop,” chopping away leaves and letting them fall naturally to the ground so they form a natural mulch, are used to ensure the forest’s nutrients are replenished back into the soil. The nitrogen that the leaves extract from the air is processed and redistributed right back into the soil. 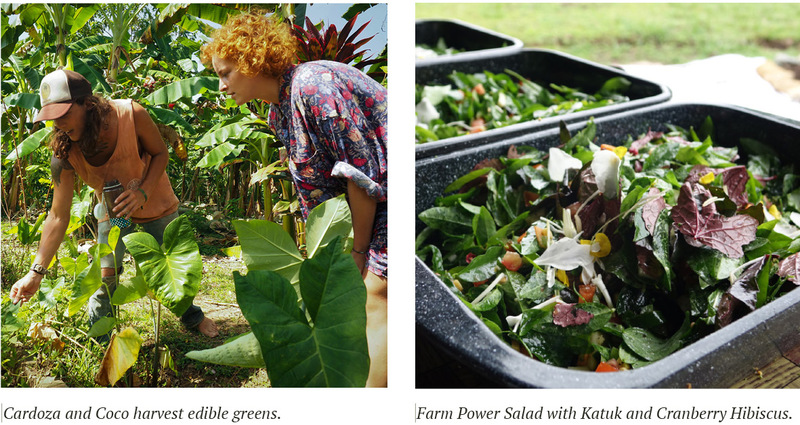 Kalu Yala’s tropical farm, managed by Cardoza, was an opportunity to put permaculture theory to the test. When the land was purchased nearly a decade ago, it had long since been depleted and used as a cattle pasture. But over the past three years, with the help of Brooks, much of the land has transformed into a fully functional food forest, producing an abundance of peppers, squash, sweet potatoes, kale, plantains, chicasquil and other tropical fruits and vegetables. In the same manner the world’s most celebrated cuisines originated, Desvaux, Kalu Yala’s full-time chef, gets innovative with the resources at hand. She’s created original recipes like the tropical butterfly salad, stuffed quinoa peppers, rich squash enyoki and hearty yucca ravioli. Despite food forestry’s proven success feeding specific communities, there haven’t been many studies to date that suggest whether the system could compete with the monoculture farming industry in order to thrive on a global level. Brooks and his team are currently building a $54 million, 773-acre food forest in southern Costa Rica, his largest project so far. He hopes his project will eventually provide useful insights and data points to support the economic viability and feasibility of food forestry on a more global scale. The biggest asset for a food forest to become financially sustainable, and even profitable, is time. New Forest Farm, a 106-acre, solar- and wind-powered food forest in Viola, Wisconsin, generates revenue through the sale of its nuts and produce, along with farm consultations, permaculture education workshops, and property tours. Mark Shepard, New Forest Farm’s co-founder, says that designing a food forest specifically geared toward making money is definitely possible. Instead of filling forest niches with crops that may benefit your own daily diet, tailor it with the rest of the world in mind.